After travelling for about 50km, we halted at a beautiful resort called Sa-i-mika for breakfast. Its a narrow bend from the main road towards the right. 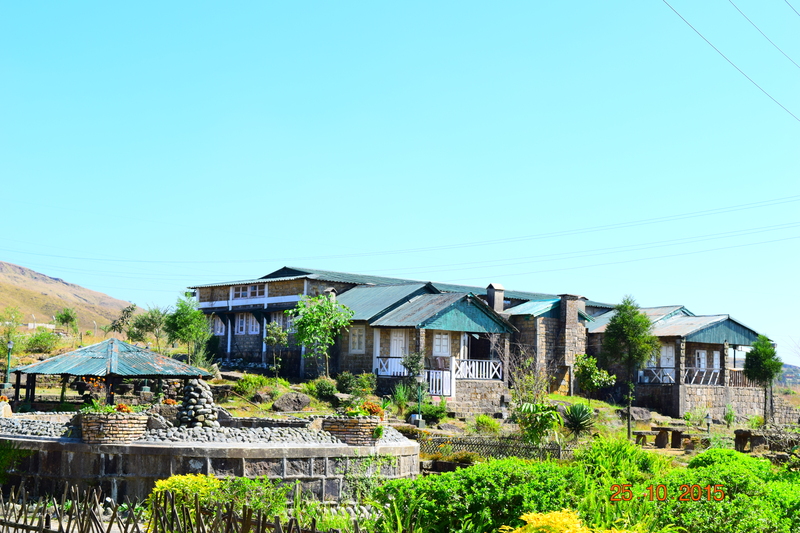 The resort can itself serve as a tourist spot with so much of natural beauty all around. It had tiny little cottages to dormitories. So next time I visit Sohra, I will make it a point to put up a night’s stay at this resort. We had our sumptuous breakfast which comprised of : bread, butter, jam, omelette & pancakes. Now we were ready for the day with our tummies full 😀 . Around 3kms ahead of Sa-i-mika,on the same road there is a beautiful waterfall by the name of Dainthlen. 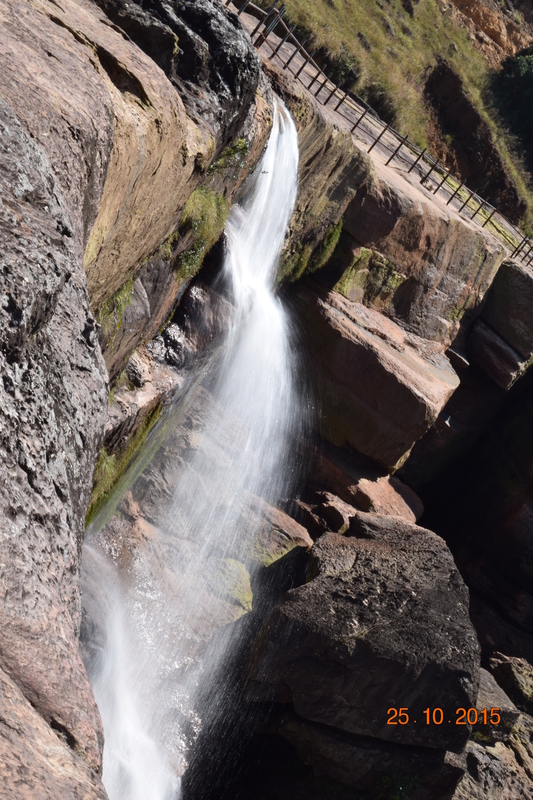 This waterfall derives its name from the Khasi word “Thlen” meaning Python and it has a great legend associated with it. 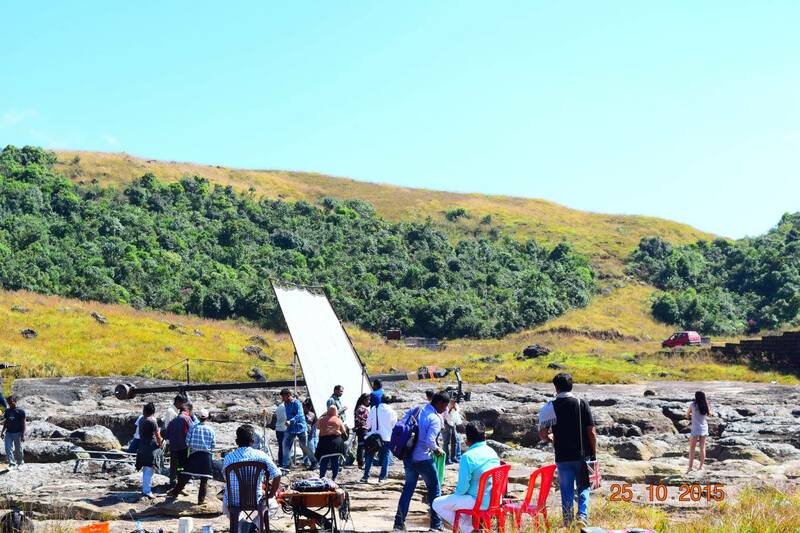 And luckily for us, that day we got to witness the shooting of a South indian song from the movie “Gethu” starring Amy Jackson, just nearby the falls . It was a Woww momemt for me & my friends 🙂 . You can watch the song in this link. Relaxing for a while & admiring the beauty of this soothing place, we headed towards our next destination : Nohkalikai falls. 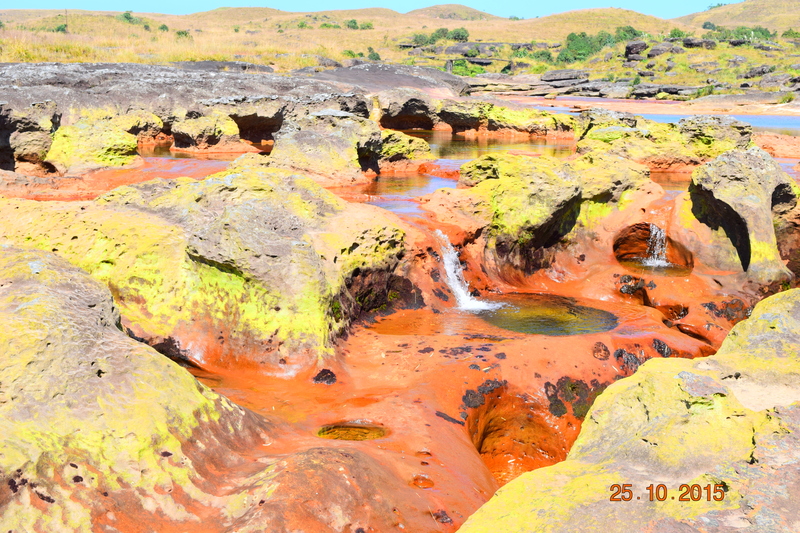 Thats another beauty hidden in the hills of Meghalaya. The picture can be seen at the very first. 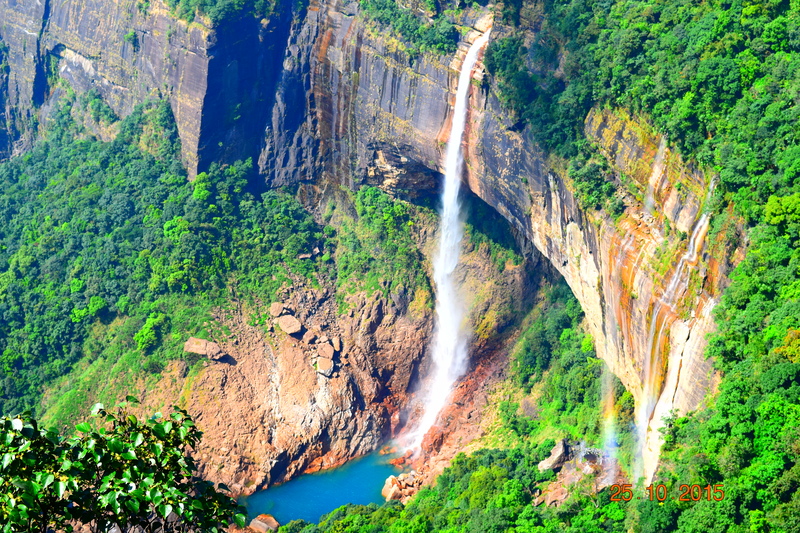 The Nohkalikai falls is the tallest plunge waterfall in the whole of India having a height of approx. 1100 feet :O . The falls terminates into a blue water body and this very sight makes it a spectacular one. Surrounded by greenery all around & white water splashing down is such a breathtaking experience. 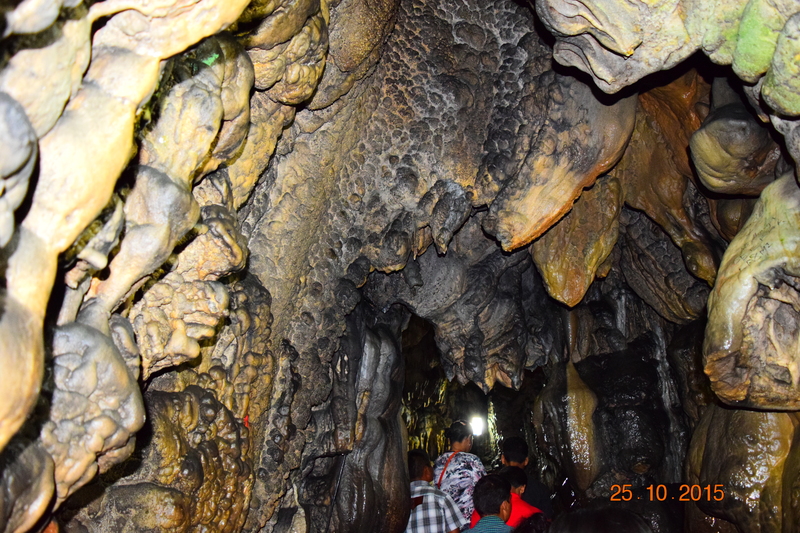 Our next point was the Mawsmai Caves,one of the many caves scattered all across Meghalaya. This state claims to have the longest & deepest caves in India. 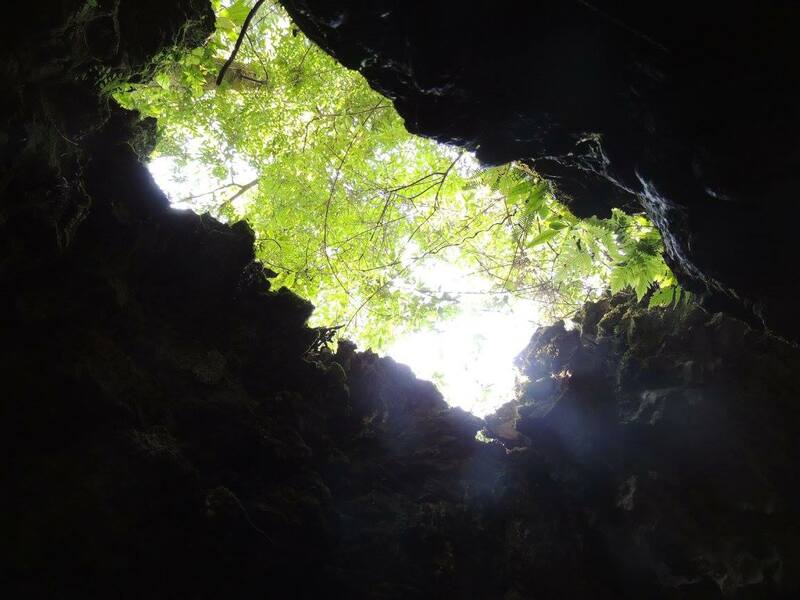 The Mawsmai caves are natural limestone formations, which are amazing to look at. Me & my friends enjoyed the whole walk(around 150 m) through the cave immensely. Its length is more in real, but whole part is not open to tourists. It was however a wonderful experience to have witnessed such great nature’s bounty. 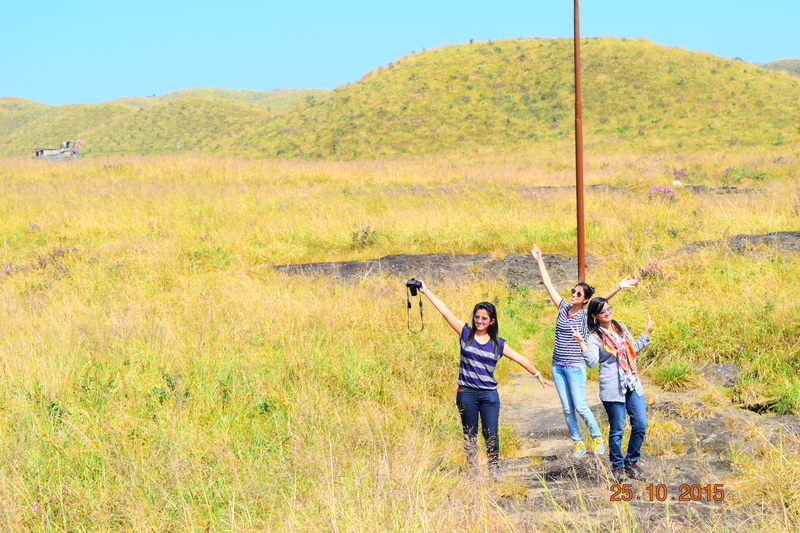 Spellbound and contended , we returned back to Shillong with thrilling memories of the beautiful Sohra. I believe Northeast is so much full of natural beauty, that a trip across all the seven states will give anyone an incredible experience of a lifetime. I am from the northeast, so I welcome one & all to make a visit to this part of our nation and feel its aura 🙂 . H0tels : Variable, staring from 1500 INR approx. Best Season : Sept-Oct (just the start of winters). If you want to see the waterfalls & flowers in full bloom then May-July.